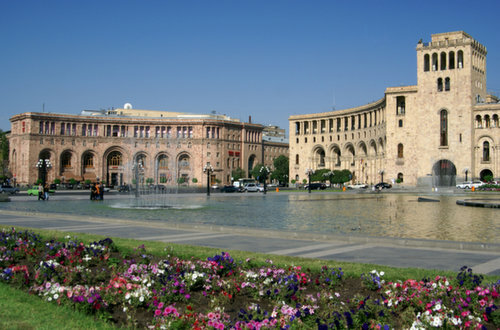 Yerevan is the capital of the Republic of Armenia. 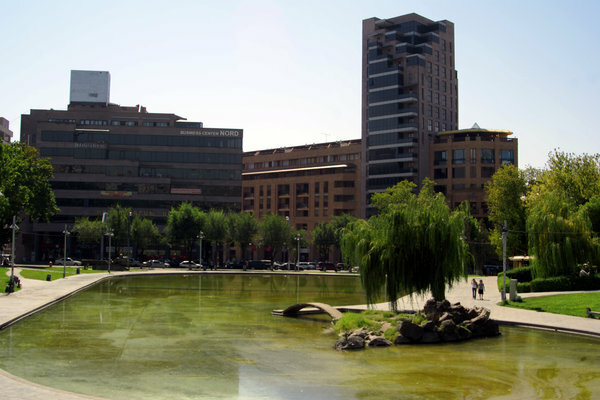 Yerevan is situated on the left bank of Araks River, which flows through the Ararat valley. 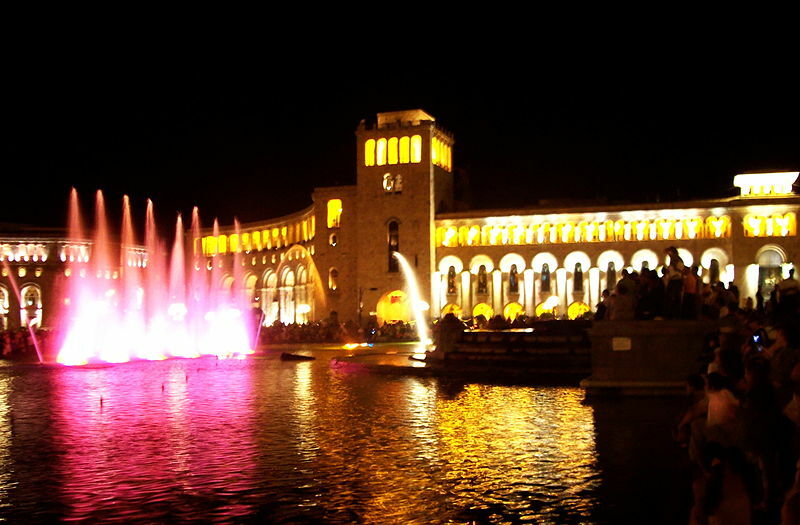 It is the largest city in Armenia with a population of 1,117 million people (2010). 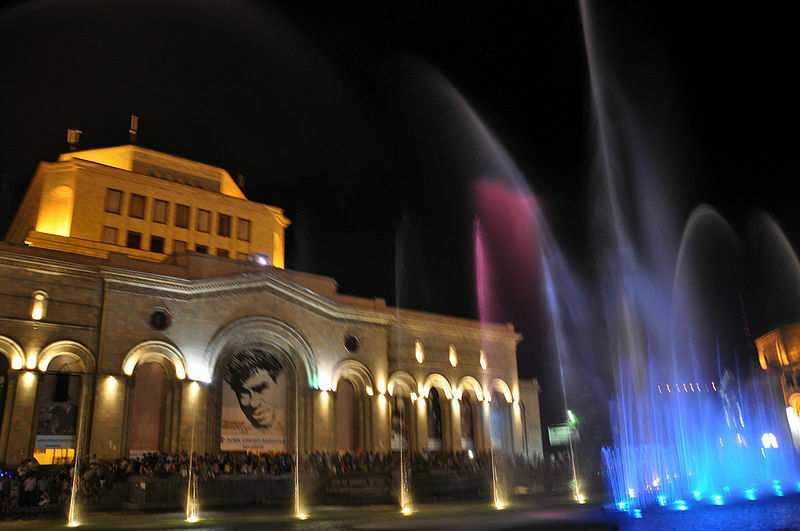 Yerevan is an important transport hub, as well as political, economic, cultural and scientific centre of Armenia. 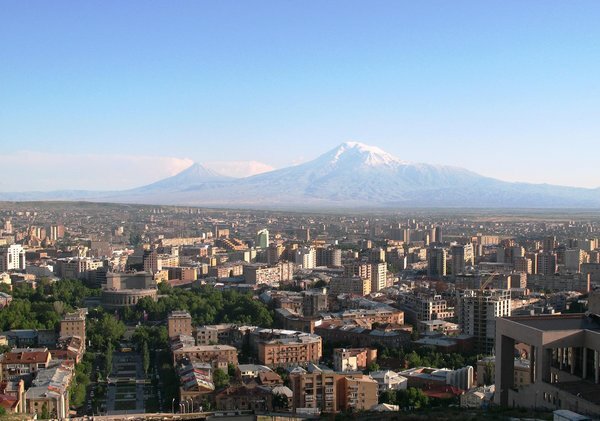 The city's name is derived from the Urartian fortress of Erebuni, which was founded on the territory of modern-day Yerevan. 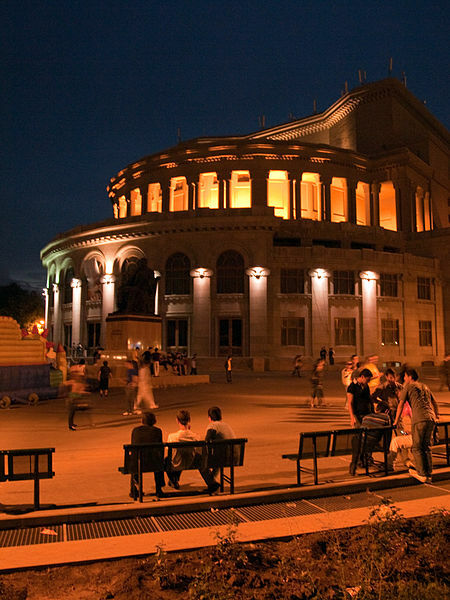 Yerevan is approximately 2800 years old. 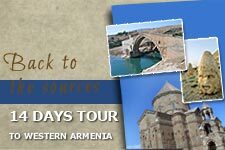 It has been a capital since 1918, and 12th capital in the history of Armenia. 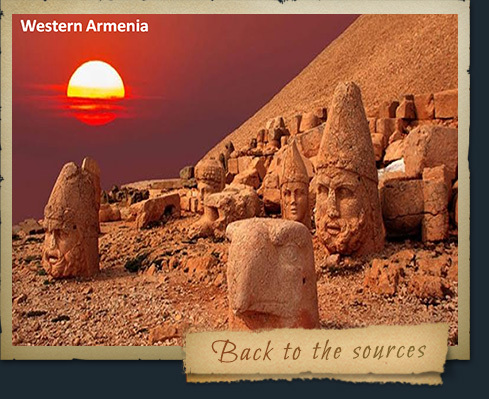 The traces of the Urartian fortress of Erebuni are maintained in Arin-Berd. 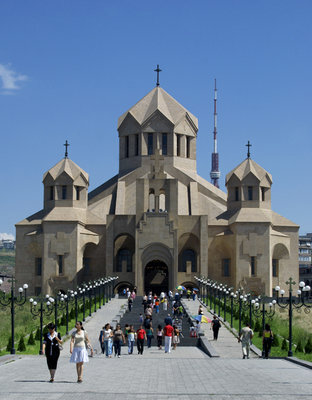 There are a lot of churches in Yerevan such as St. Katoghike church, built in 13th century, or the church St. Zoravar. 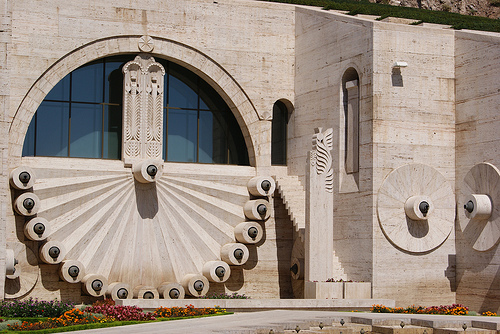 Yerevan is also rich in museums which represent Armenian history, literature and art. 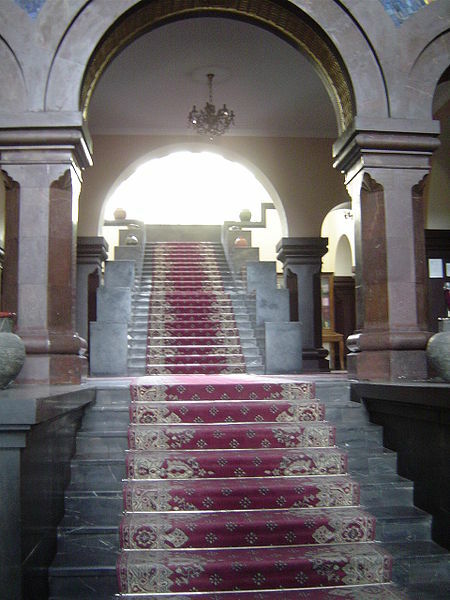 Among them are History Museum of Armenia and National Gallery which houses more than 14.000 works. 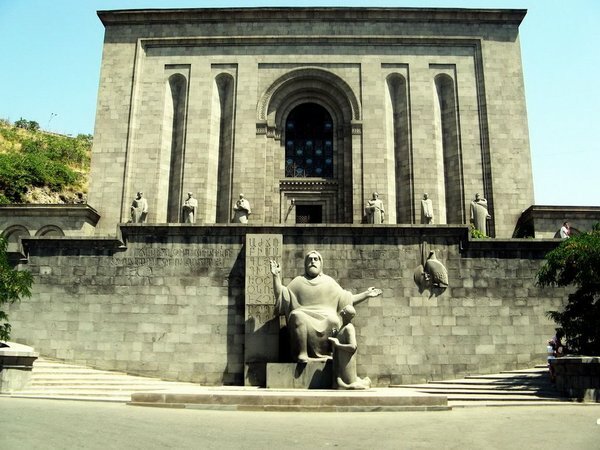 Yerevan is also famous for the Matenadaran, which is an ancient depository of Armenian and foreign manuscripts and books (over 100.000 examples). 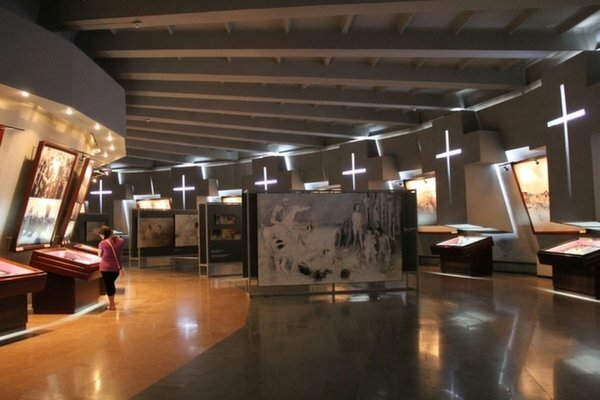 The Armenian Genocide memorial complex is Armenia's official memorial dedicated to the victims of the Armenian Genocide where very year on April 24 thousands of Armenians gather at the memorial to commemorate the victims of the Genocide. 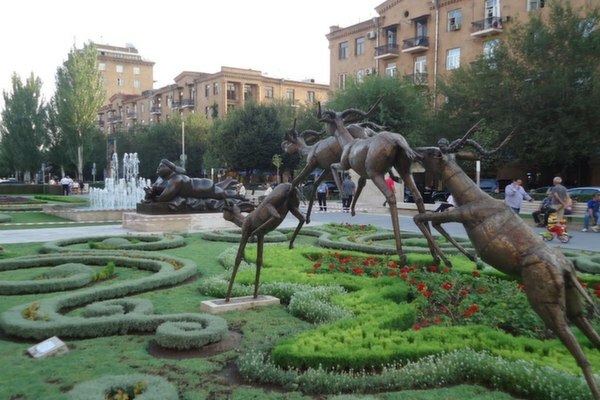 Cascade is a unique complex of a high stairway, beautiful fountains and flower beds. The complex has five levels where the works of world famous sculptors Lynn Chadwick and Fernando Botero are represented. 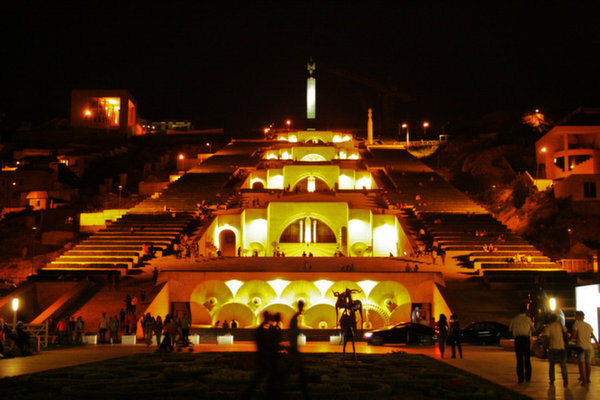 On the 5th level of the stairway a monument to the 50th anniversary of October Revolution is situated. There is also a solar clock, which symbolizes the endless process of life. 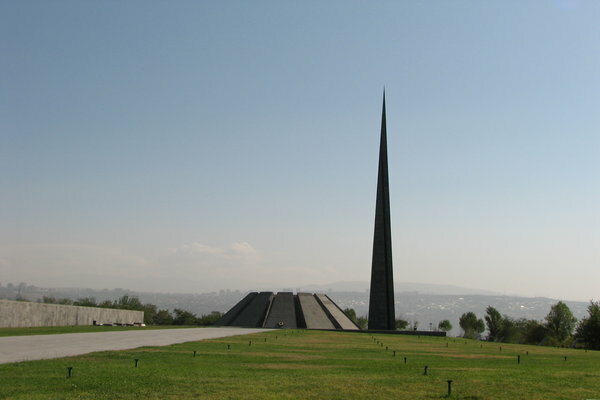 Tsitsernakaberd is a memorial dedicated to the victims of the Armenian Genocide, built on the hill of Tsitsernakaberd. 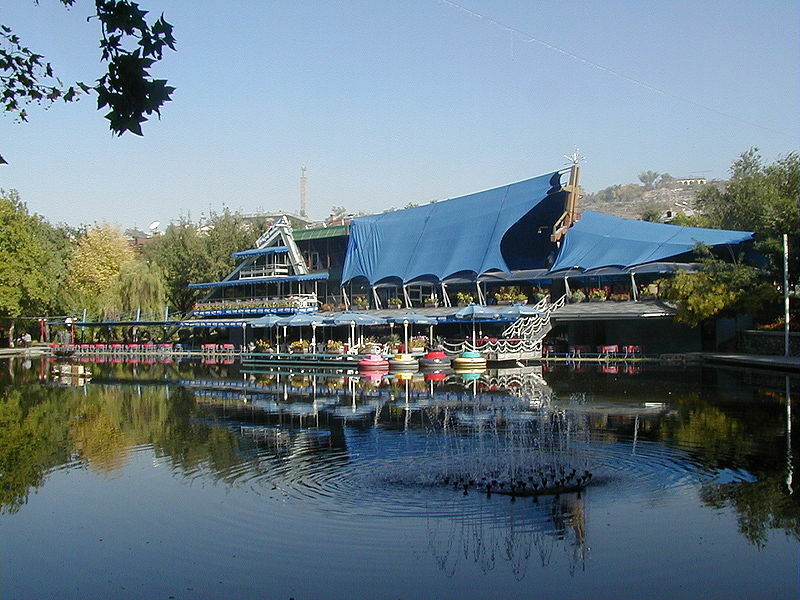 The memorial is designed by architect Arthur Tarkhanyan. The construction of the memorial began in 1966 and was completed in November 1968. 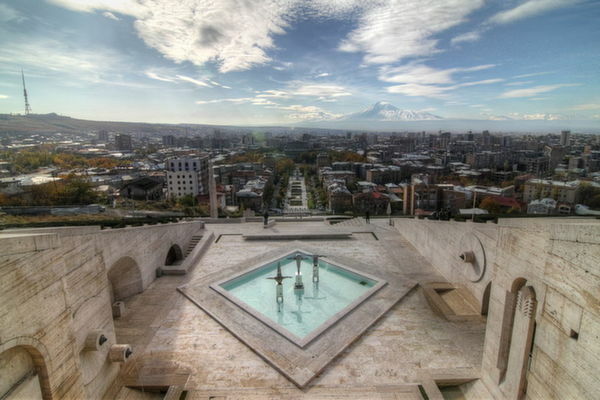 Every year on April 24 thousands of Armenians gather at the memorial to commemorate the victims of the genocide. 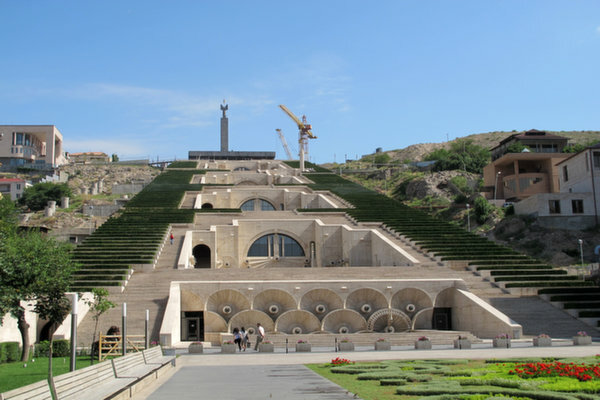 The 44-meter stele symbolizes the national rebirth of Armenians. 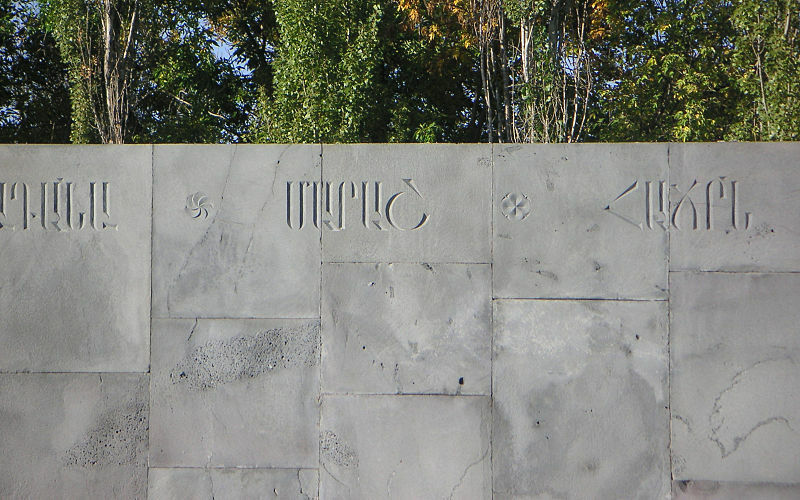 Twelve slabs positioned in a circle, represent the 12 lost provinces of Western Armenia, which are now situated in the territory of present day Turkey. 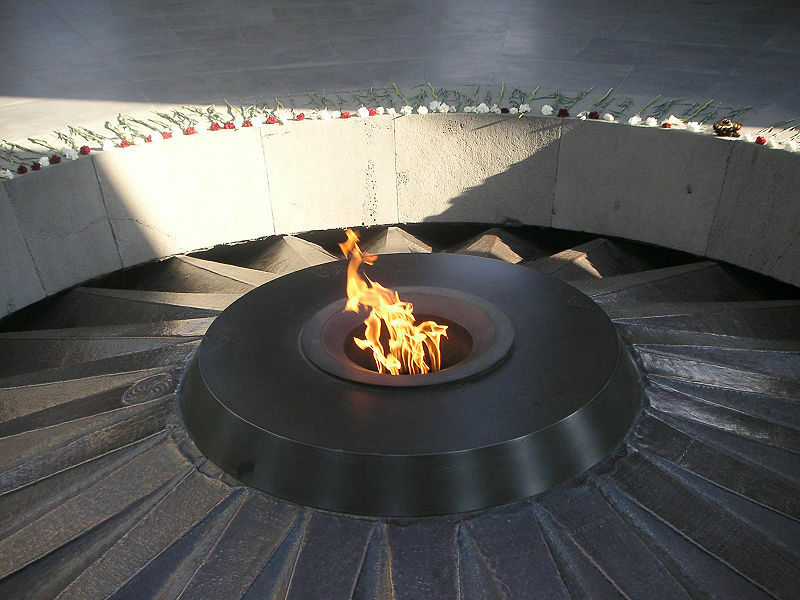 In the center of the circle there is an eternal flame. Along the park at the memorial there is a 100-meter wall with the names of towns and villages where massacres and deportations are known to have taken place. 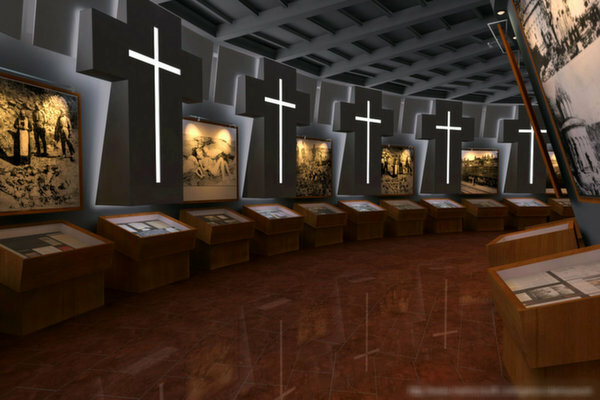 In 1995, the Armenian Genocide Museum-Institute was opened, where you can find information about the events of 1915. 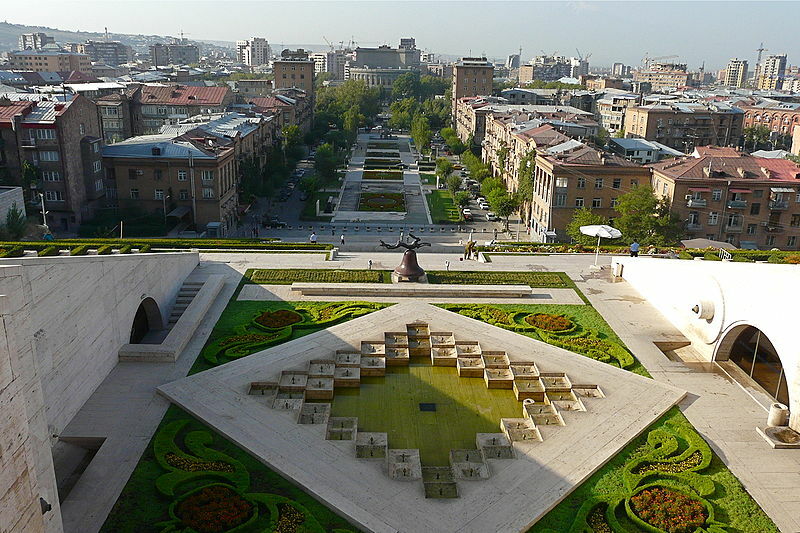 The Matenadaran was founded in one of the most ancient capitals of Armenia – Vagharshapat (Etchmiadzin), in 405, after the invention of the Armenian alphabet under the sponsorship of the Armenian king Vramshapuh. 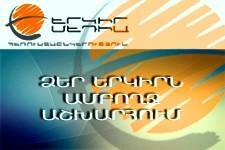 Here catholicos St Sahak the Great and the inventor of the Armenian alphabet Mesrop Mashtots started their activities. 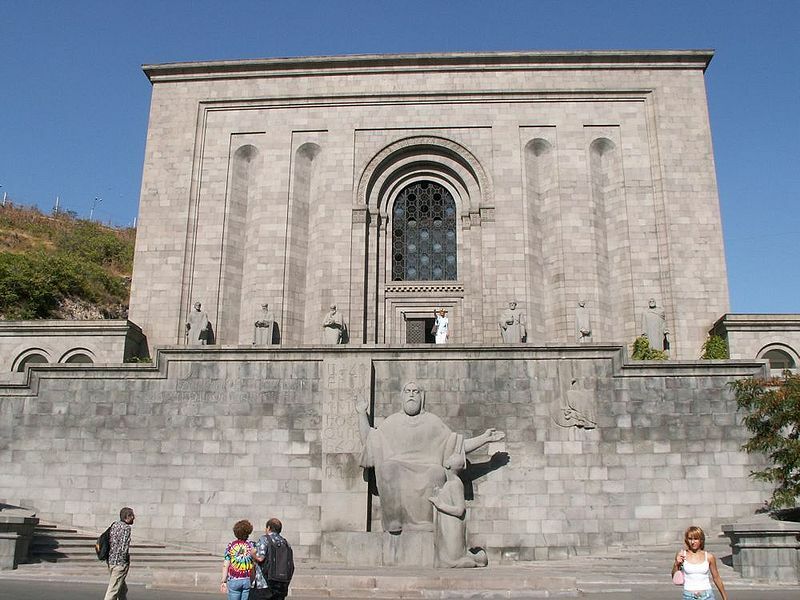 The Matenadaran founded by them was the main library in the Armenian Apostolic Church for centuries. 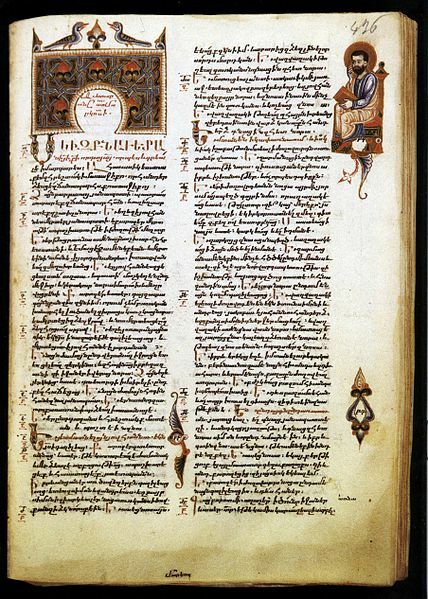 Nowadays Matenadaran is one of the world's oldest and richest depositories of medieval manuscripts. 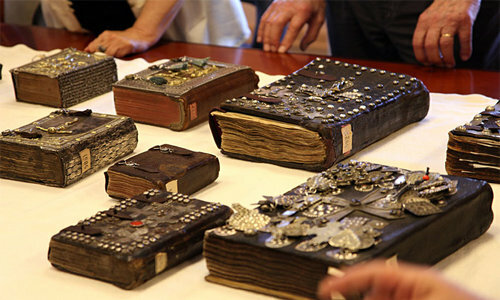 Here a collection of nearly 17,000 manuscripts is kept which covers almost all the spheres of the ancient and medieval Armenian science and culture. 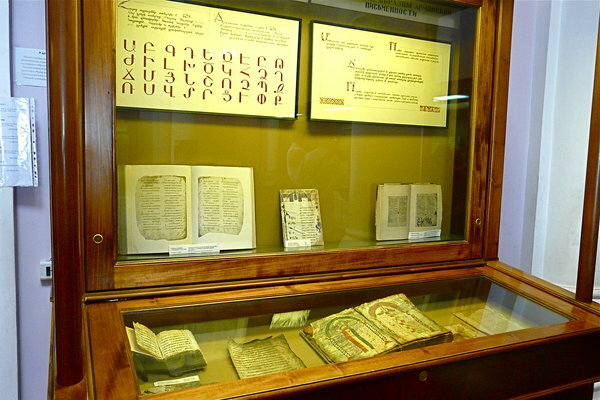 In addition to Armenian manuscripts, it also houses manuscripts in Arabic, Persian, Greek, Assyrian, Latin, Ethiopian, Indian, Japanese and other languages.